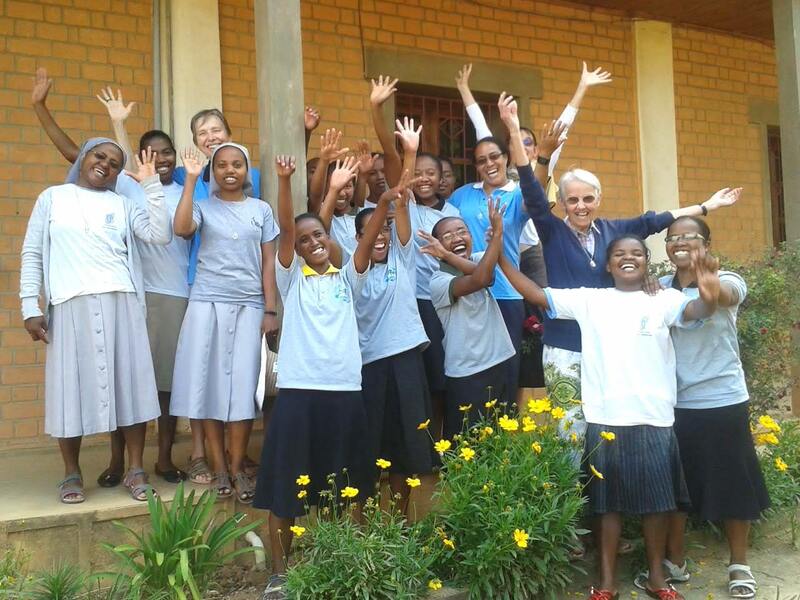 The Little Sisters of the Assumption I Applyers in Madagascar: what we are experiencing! It is a great joy for us to share some of the little things that we experience here in Madagascar. Usually, everybody thinks that the 2nd year postulants are only on a training course, but it is not only the training courses and we follow, there are also many other things. So, we invite you to read this little text we are sharing. Spiritual life / Life of prayer: We have community prayer two to three times a day (Lauds, or the Mid-day prayer on Sunday; Vespers; Compline, twice a week). Every month, there is Adoration, on the 1st Sunday; and a Gospel sharing on the 3rd Sunday. Every morning we go to the parish to assist at the 6 a.m. mass. On Monday, Tuesday and Wednesday the mass is celebrated at the same time in our house. In addition to this community time there is a time of personal prayer each day. On Friday we participate in the parish liturgy. This life of prayer gives us the means of listening to the Lord, to others and to oneself, it enables us to deepen our faith and helps us also in our formation, among other things for acquiring spiritual maturity and overcoming the hardships that arise. We are also going more deeply into the history of our founders. And one day, with the trainees, we presented through, a stage play, the history of our founders. Training courses: We also have the courses of “Nutritional Follow-up” at Sahalava Ankony Fivoarana, of the “Antoinette Fage Dispensary, activities with the children for one part and activities with youth for another, from our district, at the house. Each course represents two half-days per week, for each of us. These courses increase our experience. Here is the aim of these courses: an improvement in the life of others, above all that of the poor and the little ones (at the intellectual and physiological level). We feel at ease with these persons throughout these courses and that makes us very happy. We recognize in them the image of God. Each year the community receives students who live with us for some weeks. Several of them begin, following this, the Aspirant stage. This year, the trainees participated in all the mission of our congregation, here, at Madagascar. We helped them to develop in themselves the knowledge of the Charism, discover the sisters and the young people. We were very pleased to experience this with them. The life of the Malagasy Church: There were two great faith events here, in Madagascar. On the 15th of April last year, there was the beatification of a layman: Lucien BOTOVASOA; His motto was “My God, forgive my brothers”. The JMJ Mada IX (world youth days) were the 9th edition of the Malagasy JMJ. They took place from the 8th to the 14th of October. The theme was: “Do not be afraid, Mary, because you have found grace with God.” Three of us were present at the Beatification, and the other three at the JMJ in Mahajanga. We are very happy with these gatherings, because the Christians were very numerous; it can be seen that the Church is alive.